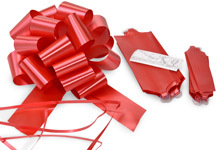 Top off your gifts with the perfect bow! 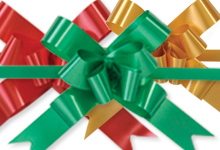 Easy-to-use pull bows will make your gift packaging a breeze. 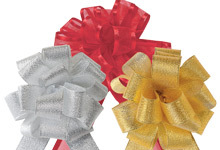 Made from floral satin, poly or organza satin stripe ribbon, these pull string bows look beautiful on gift baskets, wrapped presents and gift bags.